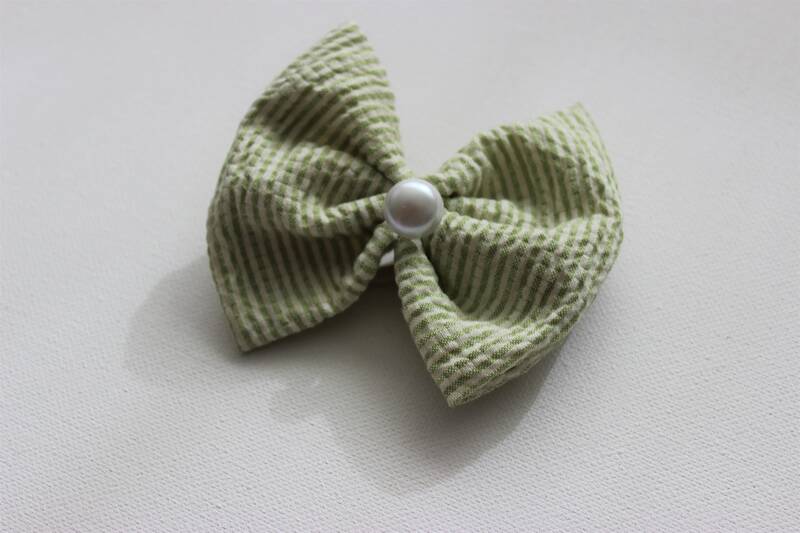 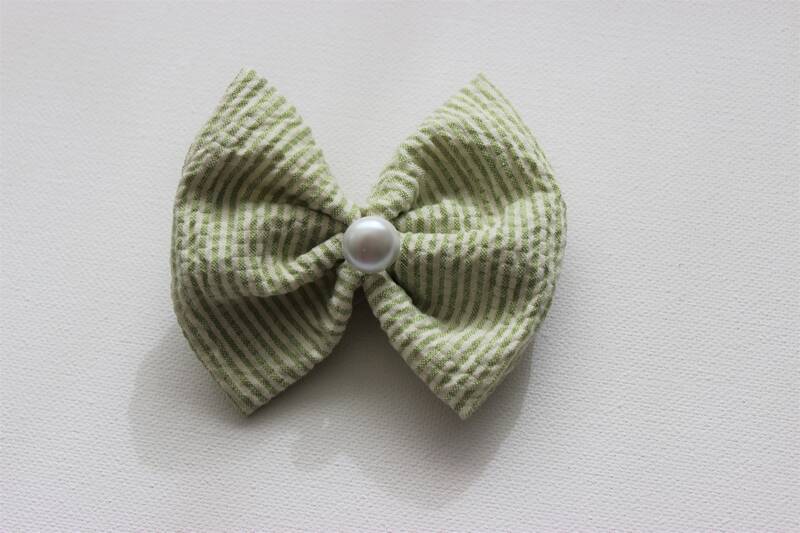 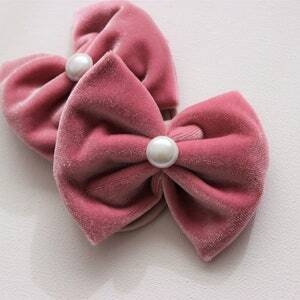 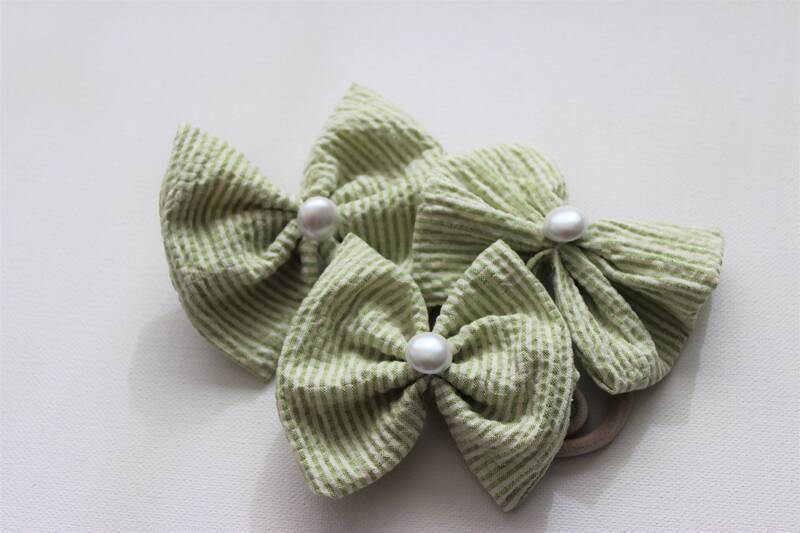 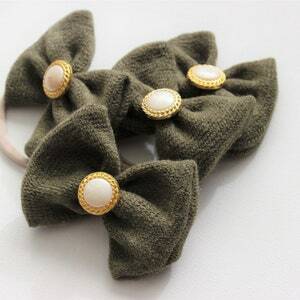 Peridot & white striped Bow with a cute pearl button in the center. 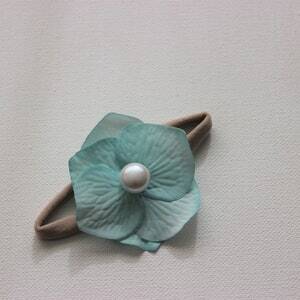 This is on an elastic nylon band which has an amazing stretch. 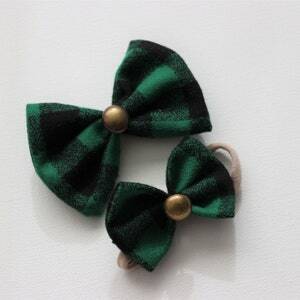 dimensions approx: 2 1/2"X 3"